The Neil Squire Society is a not-for-profit organization that uses technology, knowledge and passion to empower Canadians with disabilities. 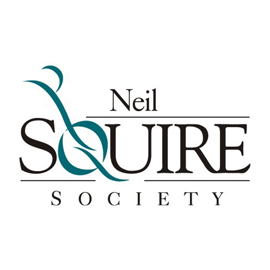 The Neil Squire Society is committed to social inclusion, economic equity, and a productive society that includes people with disabilities and gives them equal opportunity to contribute and participate. The Neil Squire Society serves people with disabilities and their future employers, filling gaps in services and expertise until government and industry can directly pursue the benefits of a diverse society and workforce. More than a service organization, the Neil Squire Society facilitates innovative technology solutions to improve productivity for people with disabilities.